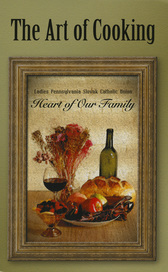 Welcome to the Ladies Pennsylvania Slovak Catholic Union (LPSCU) website! For over 115 years we have served our members and their communities by offering competitive pricing on life insurance and annuity products for the entire family and at the same time provide additional benefits to our members. We encourage you to look at the products and benefits we have to offer. To request information, click on the button below. The LPSCU is proud to announce a NEW $1,000 scholarship for students pursuing a degree in Science, including Medical Science. This scholarship, given in memory of Margaret Sabol, who was a member of LPSCU Branch 42 in Pittsburgh, Pennsylvania, is funded entirely through the generosity of Margaret's daughter, who is also a member of Branch 42. Applicants must attend an accredited college/university in the fall of 2019 on a full-time basis pursuing a degree in Science, including Medical Science. Proof of acceptance/attendance is required. Applicants must provide a wallet-size photo. Applicants must provide two letters of recommendation from a teacher, friend, or religious affiliation. Applicants must submit a one-page essay on "Why this degree is important to me." The recipient of the Margaret Sabol Scholarship Award will receive $1,000. No individual shall be eligible to receive the scholarship more than two times. The recipient will be selected by Margaret's daughter from among all the qualified applicants. To be eligible to receive this year’s scholarship, applications must be post marked by August 15. For an application, please call the LPSCU Home Office at 888-834-6614 (toll free) or 570-823-3513; fax 570-823-4464; e-mail lpscu@lpscu.org; or visit our website at www.lpscu.org. The LPSCU appreciates this generous gift from Margaret's daughter in memory of her mother. the phone to help you with your questions. If you should get the answering machine, we are closed or all phone lines are busy! please leave your name, certificate number, the reason for the call, a number to reach you and a good time of day for us to call you back. ﻿ Introducing the LPSCU CookBook! "The Art of Cooking - Heart of Our Family"
Miscellaneous - Crock Pot, Ethnic Foods, Vegetables and Desserts. Cost is $10.00 plus $5.00 shipping and handling per copy. Do you need a very special gift? Purchasing a LEAF or STONE from the TREE OF LIFE Program makes a unique and perpetual gift. All proceeds received fund our Scholarship Program! The Ladies Pennsylvania Slovak Catholic Union is seeking licensed independent agents/recommenders to represent the Society and market our Life Insurance and Annuity products. Interested individuals do not need to be a member of the Society. Currently we are licensed to sell in Pennsylvania, Ohio, New Jersey, Indiana, Illinois, Michigan and Massachusetts. Please call or e-mail President Theresa Kluchinski at 888-834-6614 or Theresa@lpscu.org.